In a busy home grout gets grubby quickly. 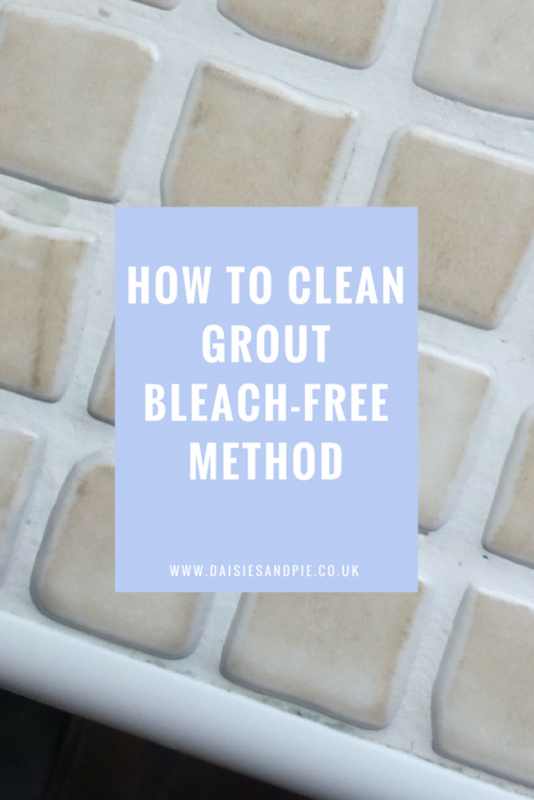 And, if you’ve got kids you probably won’t be keen on splashing around bleach all that often, but it’s easy to get grout clean without it and it costs next to nothing! We use one of our favourite cleaning supplies for grout cleaning. A simple white bar of soap, the value stuff you can pick up from the supermarket for literally 25p a pack. It get’s rid of greasy build up and leaves the grout white and the tiles squeaky clean. dip the cloth into the warm water and rub with the bar of soap, give the whole area a wipe over. next rub the toothbrush onto the bar of soap and gently scrub along the grout, don’t scrub too hard, you don’t want to loosen or damage any grout. once you’ve cleaned the grout, rinse off any soapy bubbles with clean warm water and a cloth. then run some fresh water, add the cup of vinegar and wipe over all the tiles using the vinegar water, this will make the tiles super shiny and streak free. Remember this method isn’t antibacterial, so if you like things to be germ free you’ll need to clean over the area with antibacterial surface spray like Dettol instead of the vinegar/water solution.